Not all countertops are created equal. Investing in countertops that will endure will save you in the long run. Though some countertops may be appealing because of their low cost or appearance, if they don’t last, they may not be worth the effort. As durability goes, quartz and granite are at the top of the game. Quartz is next to indestructible—very scratch and stain resistant. Granite is also very durable but is vulnerable to cracks and chips. 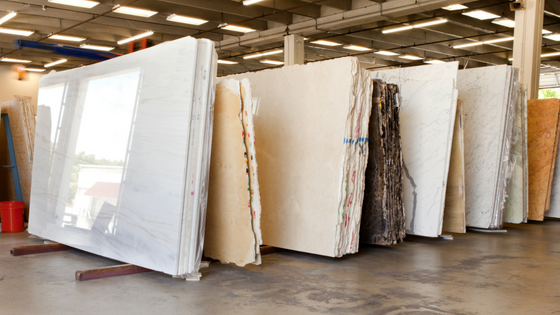 Marble is a softer stone and is more prone to nicks and scratches. However, one of the perks of marble is that those things can often be polished out. The appearance of your countertops has a large impact on the appeal of your kitchen. If you want to go for a more unique look, granite may be a good option. Because it is a natural stone, each slab of granite has a unique pattern. Marble can also be a unique and refined look to add to your kitchen. Because quartz is a manufactured stone, it does have a more manufactured look. These materials each come in a variety of colors. If you’d like to go with a more neutral and cohesive look, try matching the colors of your cabinets to your countertops. Or add a little contrast to your kitchen. Do you have light cabinets? Try dark countertops. Or vice versa! Countertops provide an opportunity to add a little décor to your space. Knowing the needed maintenance for your countertop before you commit to it is key. If you’d like to have low maintenance and long-lasting countertops, quartz and granite are great options. Quartz is a non-porous material, which means that it is easier to keep clean and bacteria free. Granite is also easy to keep clean when it has been properly sealed. Sealing your countertop is not a difficult process and can be done without a professional. Most granite countertops require a fresh sealing about once a year. Marble also requires sealing regularly. Cost is an important factor when it comes to choosing countertops. Typically, granite is more affordable than marble or quartz. If you’d like to cut on costs, try using multiple countertops for different surfaces. For example, you could match a marble island in your kitchen to your granite perimeter to save the expense of having all marble countertops.